Karen Sebaski has a broad-based practice, with particular emphasis on patent litigation, internal investigations, and complex commercial litigation. A registered patent attorney, Karen has represented clients such as NXP Semiconductors, Sharp, AT&T, and T-Mobile in high-value patent litigations involving a variety of subject matter, including Near Field Communication, liquid crystal cell display technology, and cell phone roaming solutions. She recently represented Cold Spring Harbor Laboratory in its successful resolution of patent malpractice claims involving short-hairpin RNA technology. Experienced in multi-jurisdictional matters, Karen made critical contributions to a team that secured a reversal by the Second Circuit of a S.D.N.Y. decision confirming a $932 million arbitral award against Çukurova Holding. Karen also played an active role in representing Tenet Healthcare Corp. in connection with its successful rejection of a takeover bid by Community Health Systems, Inc. She has regularly worked on internal investigations, developing facts for corporate entities in anticipation of or in reaction to government inquires. Karen also has significant experience in matters relating to securities and the financial markets, including representation of major financial institutions in actions involving RMBS and mortgage putbacks. Karen is a member of the Women in IP Law Committee of the NYIPLA and Intellectual Property Law Committee for the Federal Bar Council. 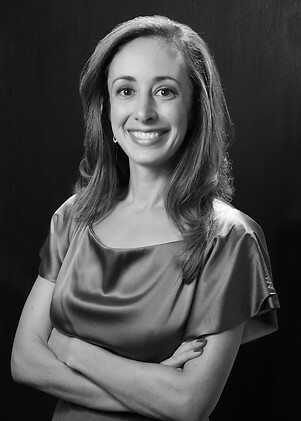 Prior to joining Holwell Shuster & Goldberg, Karen was a litigation associate at Gibson, Dunn & Crutcher LLP. A leading research institution as intellectual property counsel in its monetization of a portion of its worldwide royalty interests in the first treatment for a rare neuromuscular disorder approved by the U.S. Food and Drug Administration. NXP Semiconductors in an International Trade Commission proceeding brought against Dell for infringement of patents relating to Near Field Communication. The case settled favorably two months before trial. Cold Spring Harbor Laboratory in action involving malpractice that impeded the timely issuance of patents on short-hairpin RNAs, which are utilized to attenuate gene expression and help to identify new drug targets and therapies for cancer. Key member of trial team representing Hilite International in defense of a claim for patent infringement relating to hydraulic cam phasers used in Chrysler Pentastar engines. Various banks as trustee or securities administrator in RMBS putback actions, each involving millions of dollars. Litigation trust created from the ChemicalRx bankruptcy to pursue claims against Jerry Silva and his family for extracting $106 million from the company by way of a leveraged buyout, which resulted in the company’s ultimate bankruptcy and liquidation.